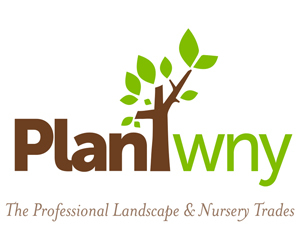 Buffalo-NiagaraGardening.com > Garden tips > Are you growing poisonous plants? Are you growing poisonous plants? Are you growing poisonous plants? If you have foxglove, hydrangea or even tomato plants, the answer is yes! In this video, Rachel Gorodetsky, Pharm.D., clinical assistant professor at D’Youville College in Buffalo, discusses common garden plants and indoor plants that can be poisonous when eaten. 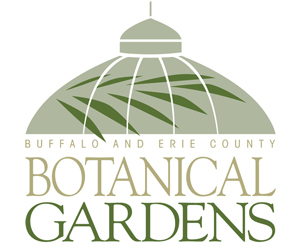 Her presentation was part of the kick-off event for the medicinal gardens at the Buffalo and Erie County Botanical Gardens. Thank you for this very informative reminder that our plant companions can actually be quite dangerous. Two years ago in Spring, the most gorgeous little plant insinuated itself into my garden. It had lacy, fern-like foliage and the stem had purple streaks. I took a picture and submitted it for identification, and let it grow, delighting daily in its beautiful form. As it approached 6 and a half feet, my inquiry was responded to, and it was identified as poison hemlock. Yikes! The plant that Socrates was executed with. All parts of the plant are highly toxic. The beauty had to die, and I covered myself head to toe and carefully removed it, grateful that I discovered it’s true identity before it produced hundreds of seeds. Oh, Anne, I hope you’ll forgive me, but I laughed right out loud when I read this. This is something I would do, and it’s way funnier since I wasn’t the one who had to do battle with such a toxic plant. I’m working on a way to set up a forum on this website. People would be able to post photos of plants they can’t identify. Other readers who are familiar with the plant could respond. Of course, people could post questions and trade tips, too. I hope to have that live within a couple months. Up to this point, I thought the deer recognized and avoided dangerous plants. They steer clear of foxglove and monkshood but they have nibbled on the hydrangeas. Apparently not enough to do them any harm since the herd keeps growing. Did you see Anne’s comment? I have to admit that for a fleeting moment I envisioned a perimeter of poison hemlock to keep out the rabbits. Very informative video. As I have a young puppy, I am on the lookout for anything dangerous. Nothing seems immune to his desire to chew. The puppy trainer had told our class that nothing organic would hurt our little ones. Boy, was she wrong. “Dangerous” might be a strong word, but chewing on these plants could cause your puppy some discomfort, and you certainly want to avoid that! I’m glad you found the video helpful.